3-axle John Deere 1470E Harvester with a rotating and swiveling crane. 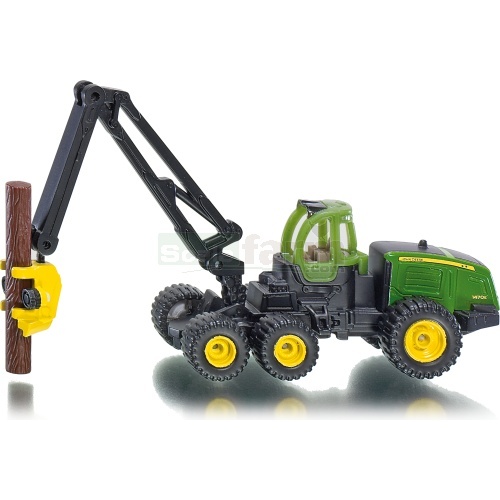 Tree trunks can be clamped in the gripper. Logs are included.